Coach King was recently awarded a grant in the amount of $10,000. 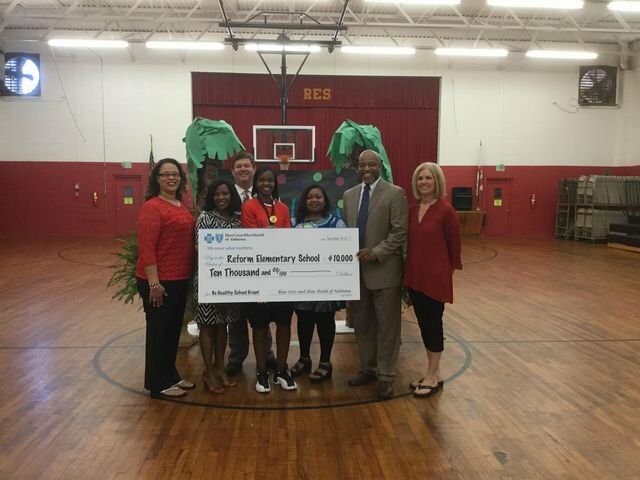 This is called the Be Healthy School Grant and is sponsored by Blue Cross/Blue Shield of Alabama. This is the second year in a row that our school has received this grant. This money will be used to purchase new equipment and programs for our physical education department. Congratulations, Coach King! !